We've all wanted a tattoo at one point or another. Usually, it's because we're going through a life crisis/rebellious phase, or are sentimental/drunk enough to think a matching best friend or sister tattoo is a good idea (it never is). The thing is, going under the needle is a huge commitment, and ink is (mostly) forever. 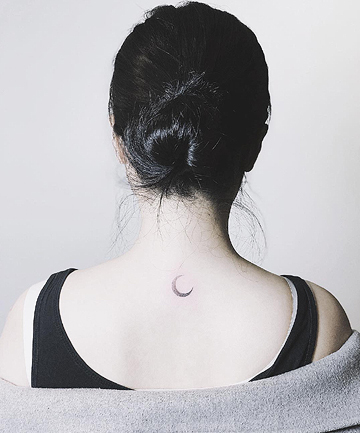 That being said, we've fallen head-over-heels in love with the new wave of tasteful, tiny tattoos flooding our Pinterest and Instagram feeds. These small tattoo ideas for women are barely noticeable, hidden away on ribcages, wrists and the napes of necks in elegant, looping script or barely-there white ink. These 22 small tattoos will leave you with zero regrets — and a new bucket-list item.